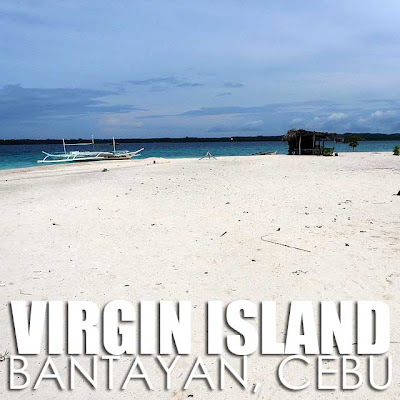 I found myself back in Bantayan Island, Cebu. Early in the semester, I asked my tourism students to vote on where they wanted to go for their Out of Classroom Learning Activity (OCLA). 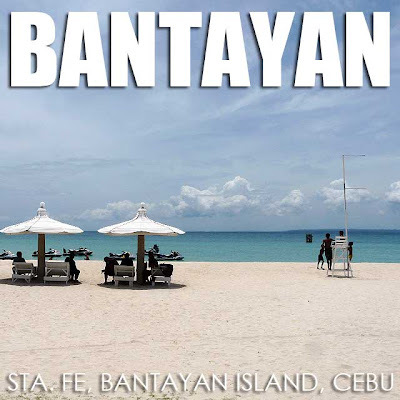 And after a long deliberation, Bantayan Island edged out the competition. 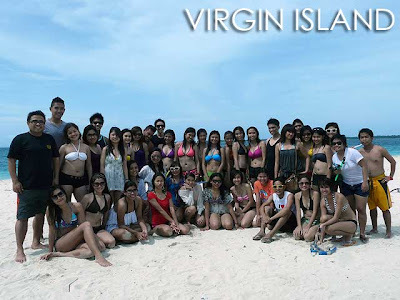 So with 45 students in tow, we trooped to Bantayan Island. 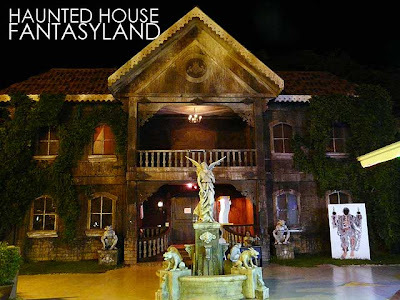 Arriving on the first flights, I had arranged for a private bus to fetch us at the Mactan Cebu International Airport since we were a really big group. 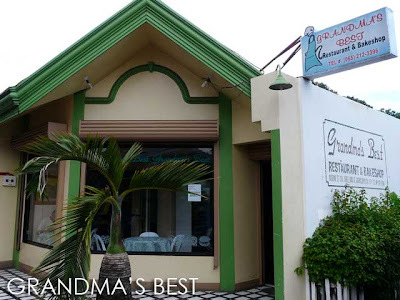 We first had a buffet breakfast at Abuhan Tres for Php150 per head before making the three hour drive north to Hagnaya Port, the jump-off point for Bantayan Island. Unfortunately, despite being sunny, the seas were a bit rough that afternoon. But we managed to arrive in Bantayan Island in one piece. After checking-in at the Santa Fe Beach Resort, we had lunch and some free time. Since it was a tiring trip, I allowed the rest of the class to stay at the resort while those up to it joined me to Bantayan town to visit the centuries-old Bantayan Church and what's left of its old houses. 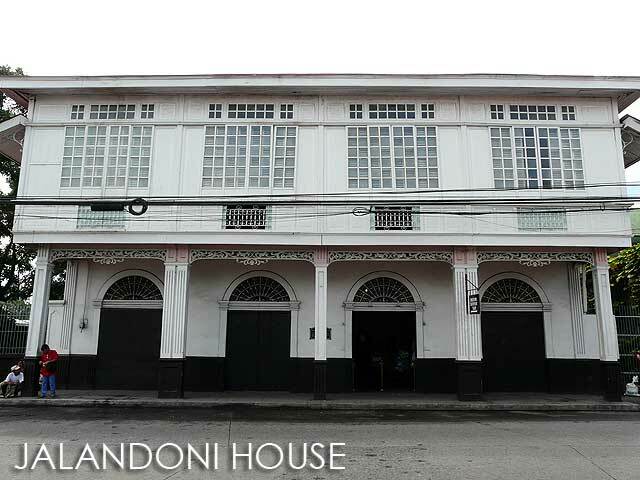 It's sad to see that just a little over a year after I last visited, at least two houses were now gone or in a state of disrepair, replaced by modern establishments which could have adaptively-reused the old structures. 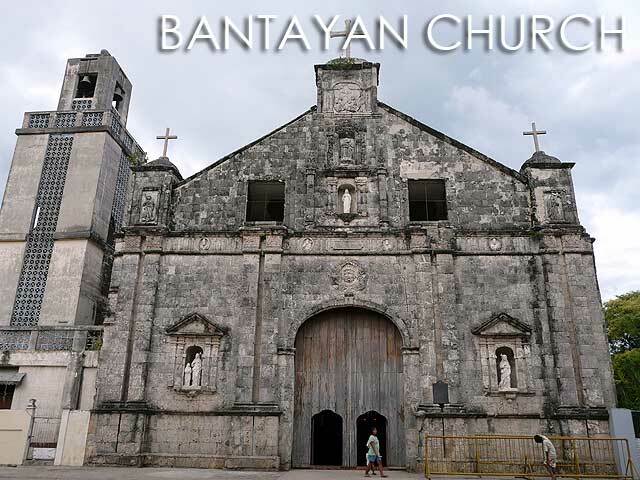 For more attractions around Bantayan, read Bantayan Island, Cebu is rich in heritage and great beaches! Back in Sta. Fe, more jeeps ferried the class to D'Jungle where we enjoyed their sumptuous Php300 buffet. No doubt, everyone was happy! 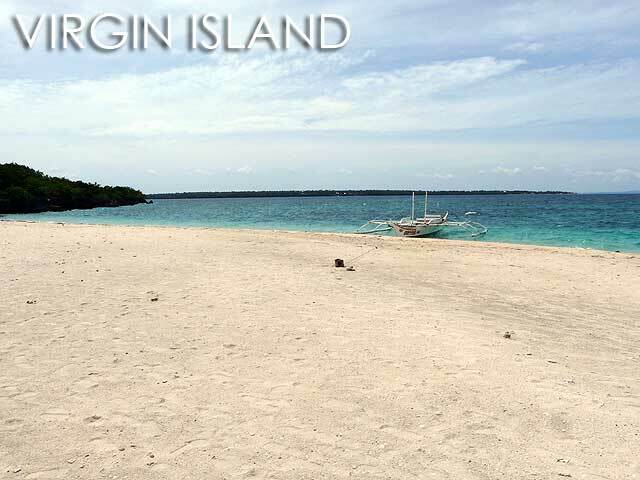 The next morning, I made sure my students were up early since we were going to visit one of the smaller islands around Bantayan. Although the beach front of Sta. 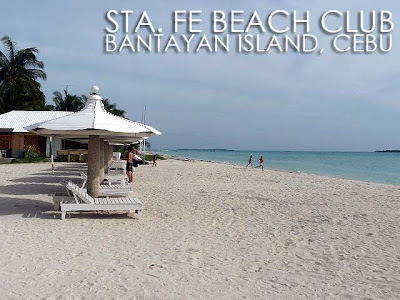 Fe Beach Club is already nice, others opt to visit Virgin (Silion) Island or the other nearby islands such as Hilantaga-an, Jibitnil and Guintacan for more beach options. 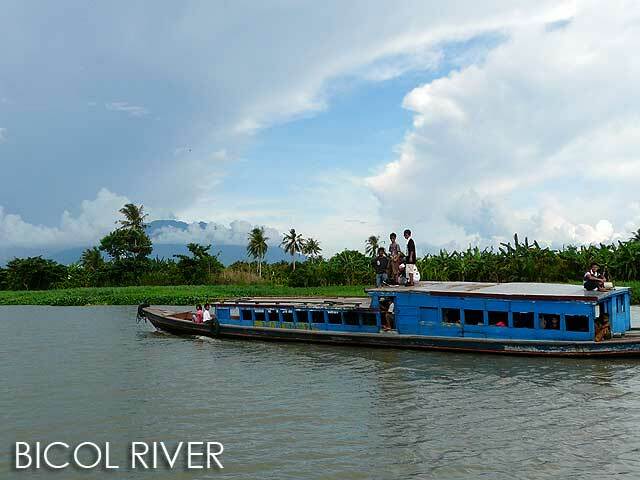 The boat ride should cost about Php1500. While there's a Php50 entrance fee for Virgin Island. But you can spend the whole day there and simply relax and enjoy the sun and sand. We didn't get to stay too long since we wanted to catch the ferry back to Hagnaya before lunch for us to reach Cebu City before sundown. 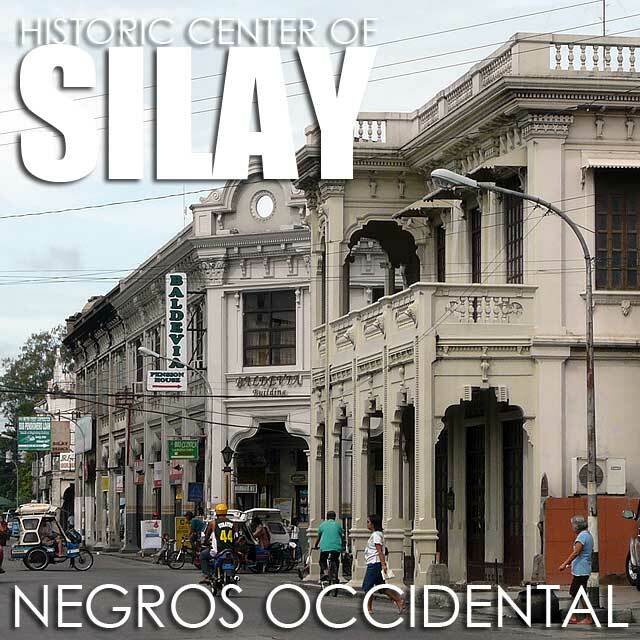 We had a walking tour around the city's historic center scheduled. So after five-minute showers at the resort, we rushed to the ferry for our trip back to Hagnaya. Fortunately, the waves were not as bad as the day before. Despite its relative seclusion, food is not a problem in Bantayan. In fact, it’s one of the island’s attractions. And most of the restaurants are owned by Europeans. 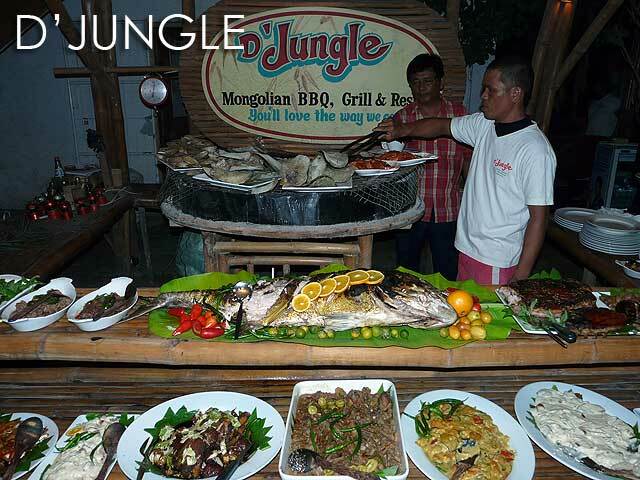 Highly-recommended is dinner at D'Jungle, owned by Franco-German chef Robert Merbach, where they serve sumptuous buffets every Friday and Saturday. Any serious foodie will be in food heaven! Their buffet spread can have as much as fifty dishes which include a wide variety of seafood, meats and greens cooked in various styles. 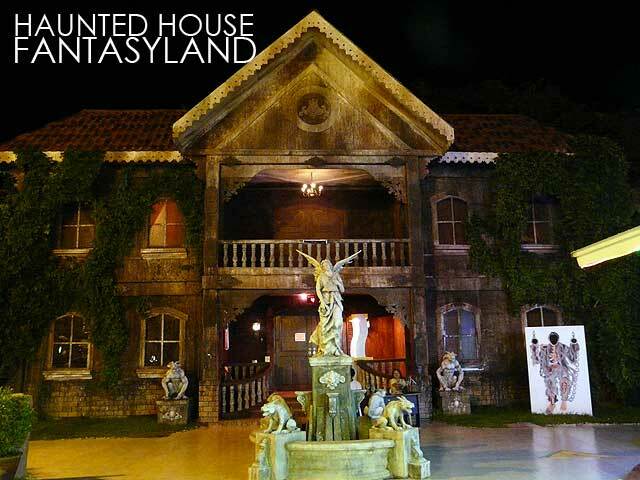 At Php300 per head which includes bottomless iced tea, how could you go wrong? It’s most definitely worth it to come back to Bantayan if only for this buffet. Offering a similar buffet is the Marisqueira O’ Portuguese Bar and Restaurant next door which competes with D ‘Jungle head on with its own weekend buffets and great Mediterranean food. Other interesting restaurants include Mabuhay Balikbayan Restaurant which serves great pizza, pasta, salads and seafood; Blue Ice, HR Restaurant and the Floating Bar are all owned by Swedish nationals. Floating Bar which literally floats on water, serves great tacos and burritos. There's also Coucou owned by a Belgian, and Hard Kock Kafe. If you’re looking for food stalls, Arjaymay serves great grilled seafood. 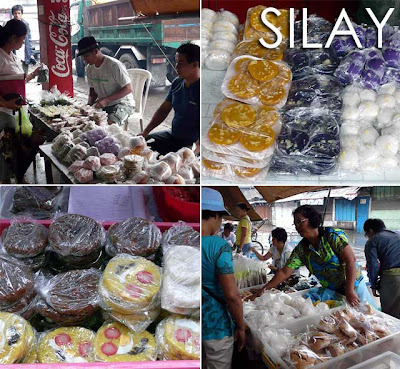 Early in the morning in Silay City, Negros Occidental, at the Silay Public Market, a unique exchange of goods happens. 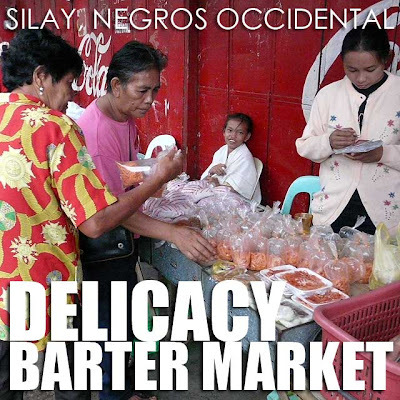 Known to locals as the Delicacy Barter Market, this is where the friendly tindera gets her snacks and kakanin to sell in offices, homes and other places as far as Bacolod City. 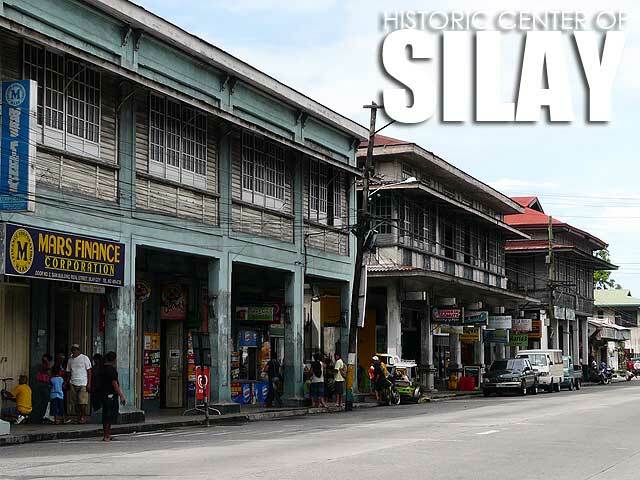 The practice originated from the family delicacies of Silay's old clans. Each family had a particular delicacy. And the household staff who prepared them would trade the leftovers with that of other families. Thus the barter of delicacies. Today though, it has evolved into a unique trading system which is quite complicated to the onlooker but understood by the sellers and suppliers. Each tindera has her suki supplier. So she gets all her goods from a single supplier. 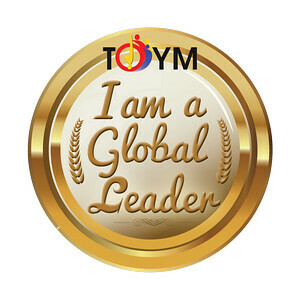 The supplier is responsible for getting other goods from other suppliers. Thus the exchange of delicacies. They have a system in place already. And at the end of the day, the tindera would come back and pay her supplier. And the supplier will take care of paying the other suppliers. At the Delicacy Barter Market, you'd find native kakanin and local delicacies, as well as popular snacks and sandwiches. So if you happen to arrive in Silay City early in the morning, why not swing over to the Delicacy Barter Market at the Silay Public Market to get your local delicacies and snacks at bargain prices! Dipolog is the provincial capital of Zamboanga del Norte. 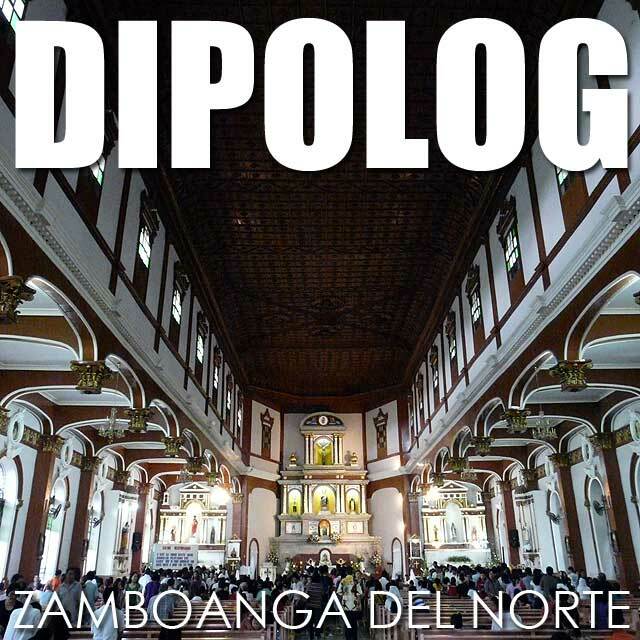 When Jose Rizal was exiled in Dapitan, he also left his mark in neighboring Dipolog, particularly the Dipolog Cathedral. Although it has a heavily-renovated facade, the interior of the church is pretty much preserved. It is said that the church altars were designed by Rizal himself. A statue of St. Ignatius of Loyola can be found in the right side altar of the church, a reminder that the Jesuits once had control of this area. Another town with Rizal influence is Katipunan since he had a farm there. We were trying to locate it but people in the area unfortunately didn't know where it was. We weren't able to do much in Dipolog. But in any case, here are some places you might want to try out when you get hungry. 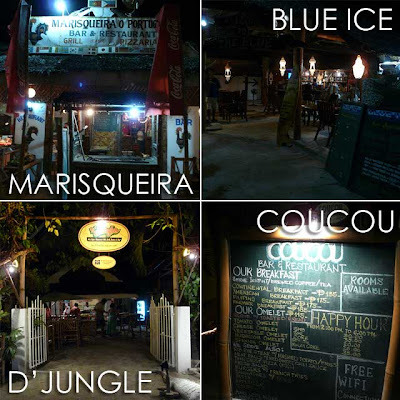 Here are four restaurants in Dipolog you might want to try out if you're looking for a place to eat. I'm sure there are more and please feel free to suggest. I was so enticed by the lechon manok I saw around the city, I decided to have some for dinner. 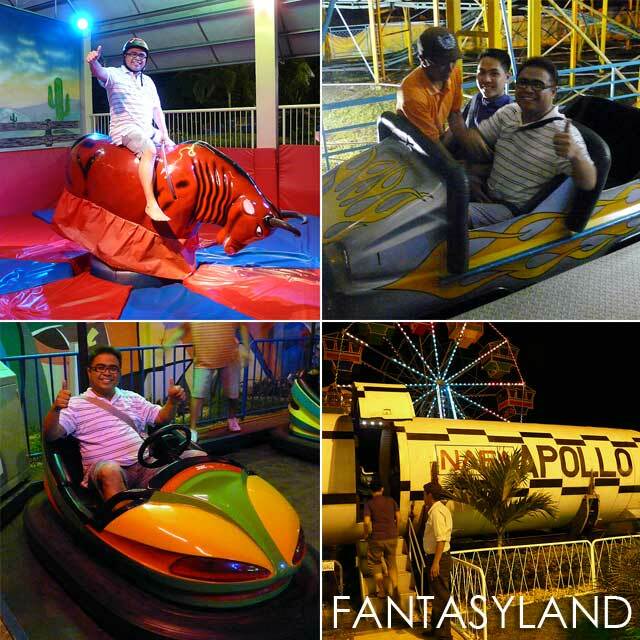 So we asked the tricycle driver to bring us to a good one. 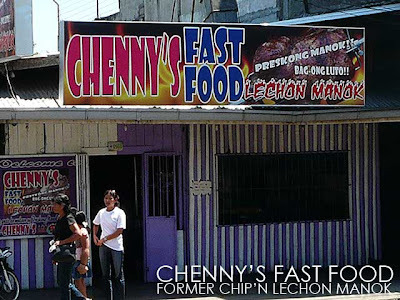 Many of the locals may not know Chenny's and that's because it used to be called Chip'N Lechon Manok just a few months ago. 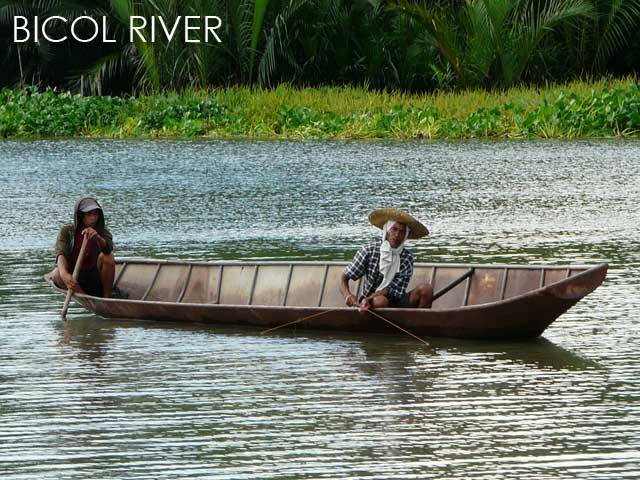 There may have been a change in owner but it's the same old recipe the locals enjoy. And if you're after the local flavor, this is the place to go. 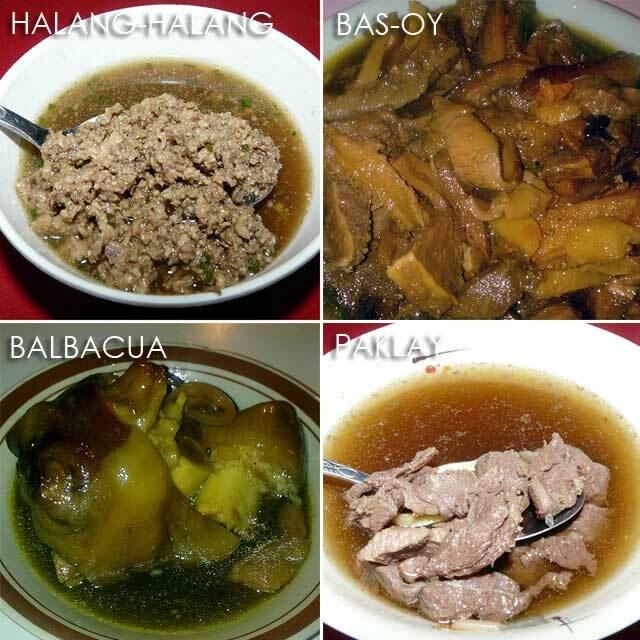 Try out the local dishes such as chicken halang-halang (a spicy soup made with minced chicken neck), bas-oy, paklay and balbacua. This place is most known for it's desserts and pastries. 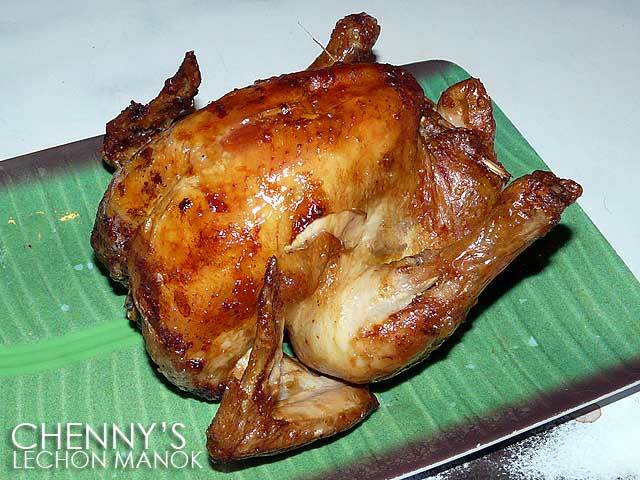 But serves a wide range of dishes for breakfast, lunch and dinner. The menu had so much in it, it was so hard to decide what to eat. 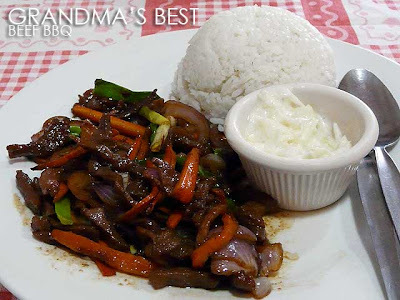 I tried out their Beef BBQ which was really good. If you have a problem picking out a dessert, just head on over to the fridge and see what's available. I got myself a Revel Bar and some Yema. It's got burger and fries, fried chicken, Shawarma, rice meals and Filipino favorites such as Crispy Pata, Sisig and Lechon Kawali. 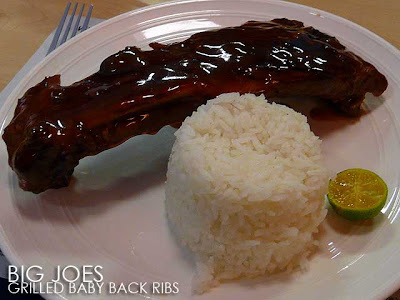 But a must-try would be their steaks and Grilled Baby Back Ribs. And they have a delivery service too! While I'm not a seafood person as most of my friends know, I can't leave this restaurant out of the list. I checked out their menu and everything is seafood, even the burgers! 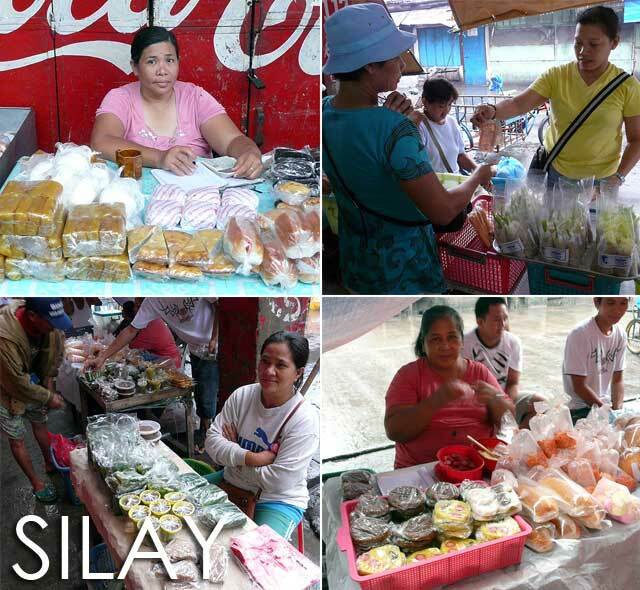 Specialties include Sinugba, Tinola and Kinilaw (their version of STK it seems), plus the Seafoods Roll. They also have a branch along Capitol Drive. Dapitan, Zamboanga del Norte will always be synonymous with National Hero Dr. Jose P. Rizal. In fact, the structural works of Rizal still exist in Dapitan until today. 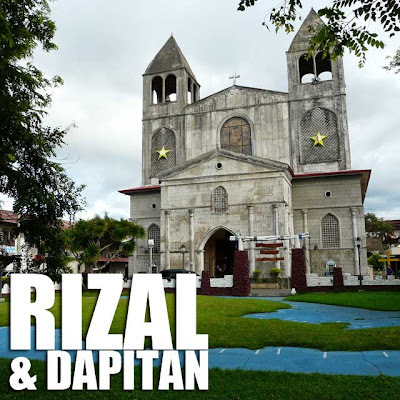 There are in fact three declared cultural properties in Dapitan all relating to Rizal, namely the Relief Map of Mindanao, the Rizal Shrine and the Dapitan Plaza Historical Landmark. We first visited the monument which was constructed at the site where Rizal landed when he arrived in Dapitan in 1892. It's a tableau of statues depicting the events of his arrival. There is a marker of the National Historical Institute there to mark the event. It reads: On this beach of Sta. 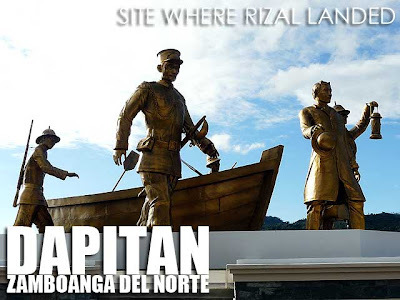 Cruz, Jose Rizal landed at 7:00 o'clock p.m. on July 17, 1892 to begin a life of an exile in Dapitan. With Captain Delgras and three artillery men, they walked through Sta. Cruz Street with a "farol de combate" to the Casa Real where he was presented to Don Ricardo Carnicero, Spanish Military governor of the District. 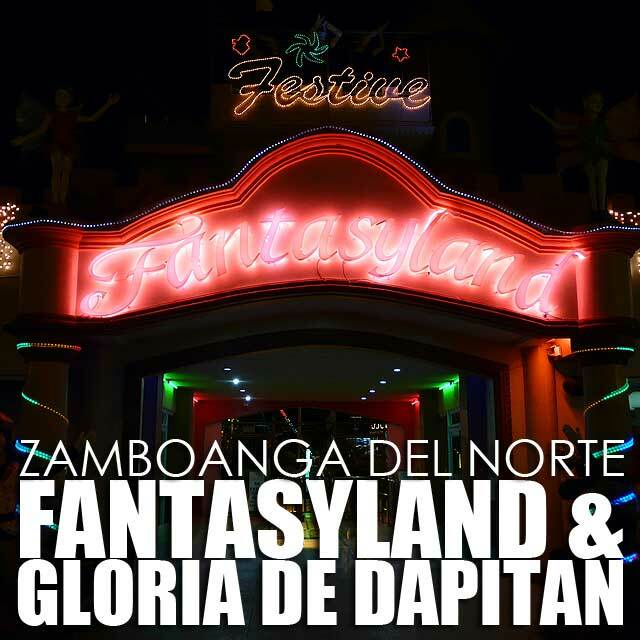 From there, we proceeded to the Dapitan Town Plaza which is a National Historical Landmark. Another NHI marker can be found there. It states that the plaza was layed-out according to the plans of Rizal while he was exiled there from 1892 to 1896 and that he himself planted the acacias around the plaza. He also provided the lighting system of the plaza powered by coconut oil which he funded from a payment of a British patient. 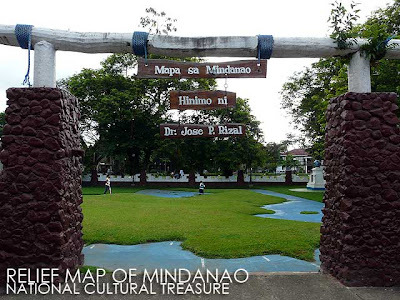 The Relief Map of Mindanao, a National Cultural Treasure, can also be found in the same plaza, right on front of the Dapitan Church. It was Rizal and his former teacher Fr. Francisco de Paula Sanchez, S.J. 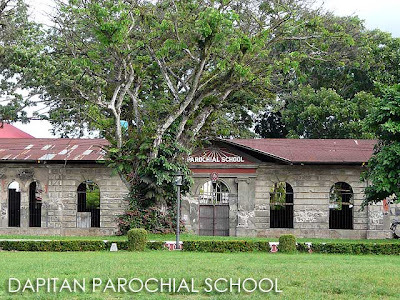 who constructed the map with the help of the church staff and the students of the parochial school of Dapitan in 1892. The map was restored during the term of Zamboanga Governor Jose Asiniero, a former student of Rizal. 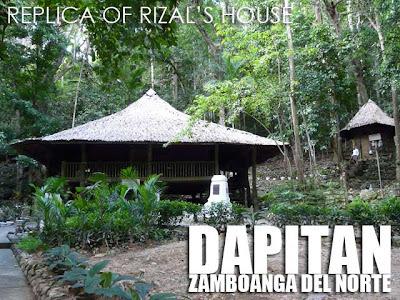 Inside the Dapitan Church is another NHI marker which is located in the spot where Rizal stood every time he heard Mass. 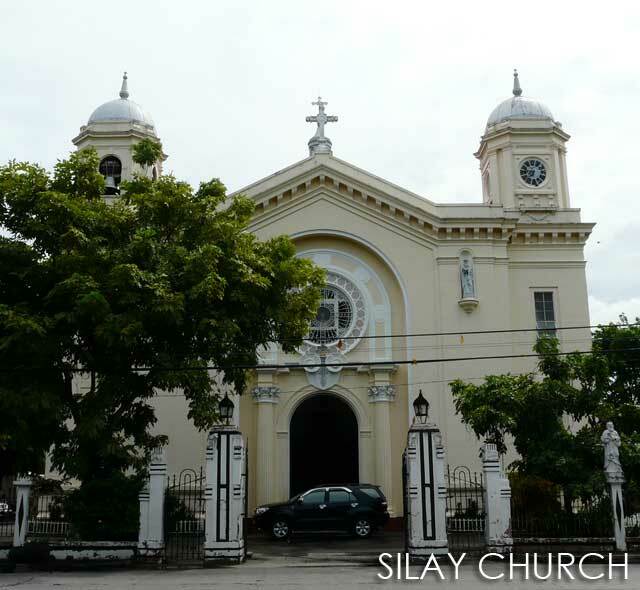 The marker reads: On this spot of St. James Church contructed by the Jesuits, Rizal stood while hearing Mass every Sunday during his exile in Dapitan in 1892-1896. 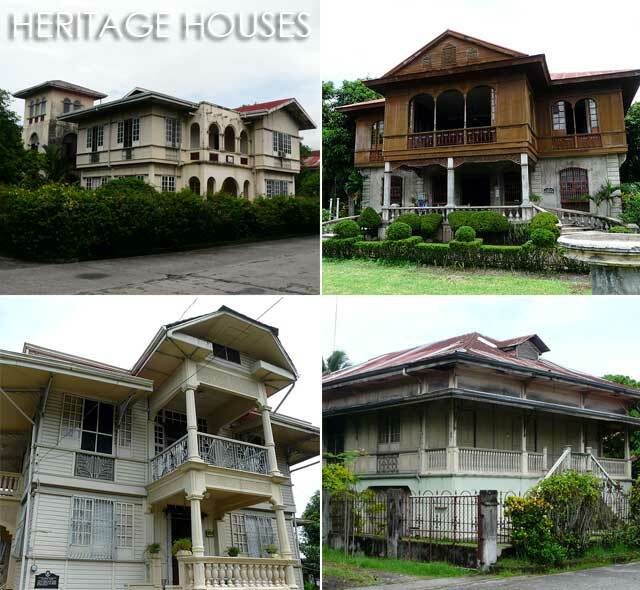 Around the plaza are several heritage structures including the City Hall of Dapitan, ruins of the Parochial School, and several ancestral houses. An NHI marker can also be found in the site of the Casa Real. It reads: This is the site of the Casa Real, official residence and administration building of the politico-military governor of the district. 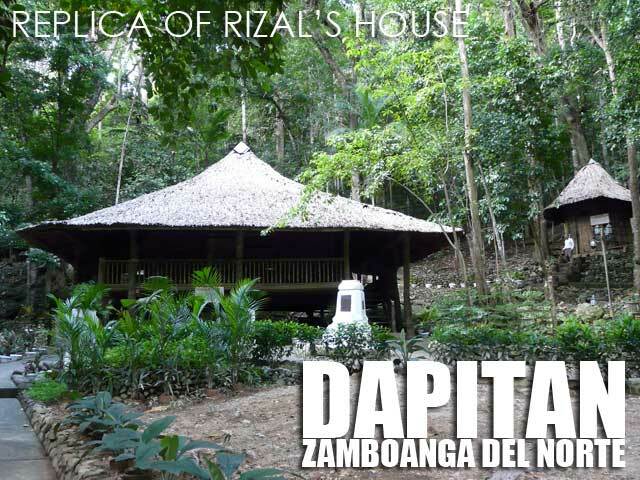 Here Rizal lived as an exile from July 17, 1892 to March, 1893 when he was transferred to Talisay, now the Rizal Dapitan Shrine. Our last stop for the afternoon was the Rizal Shrine, a National Shrine, where replicas of Rizal's house, classroom, clinic and other structures can be found. Also at the shrine is the rock where Jose Rizal and Josephine Bracken got married and the water system which Rizal constructed. 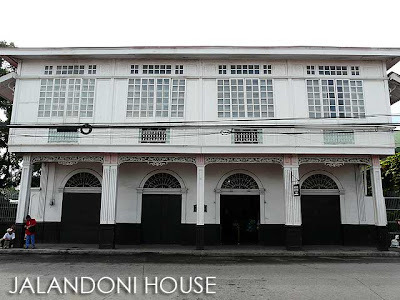 There is also a museum which contains several personal items of Rizal including his clothes. 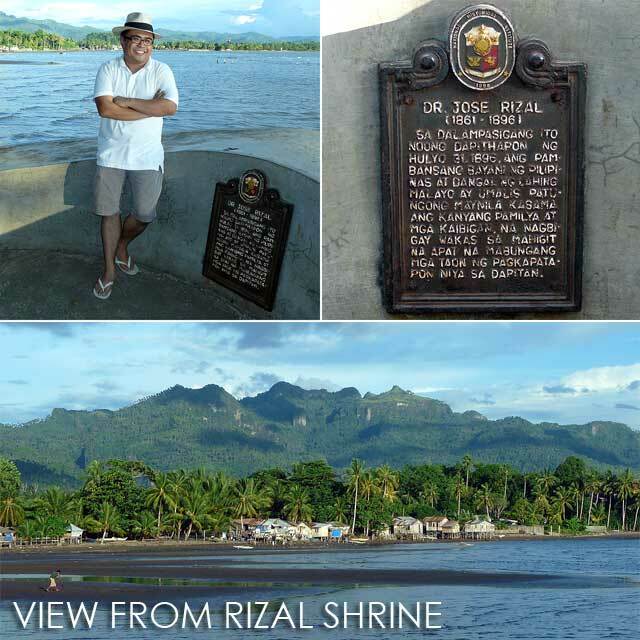 There are at least two NHI markers at the Rizal Shrine including one at the spot where Rizal left for Manila on July 31, 1896 with his family and friends, ending four years of fruitful exile in Dapitan. 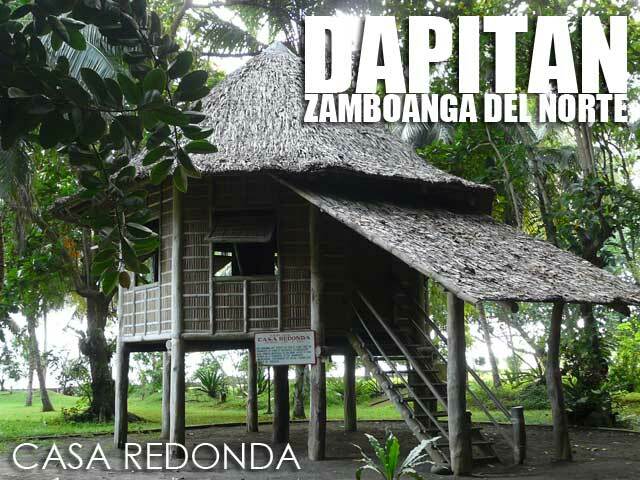 There are two other towns with works and properties of Rizal, namely Dipolog and Kalayaan. The Bicol River is the eight largest river system in the Philippines. 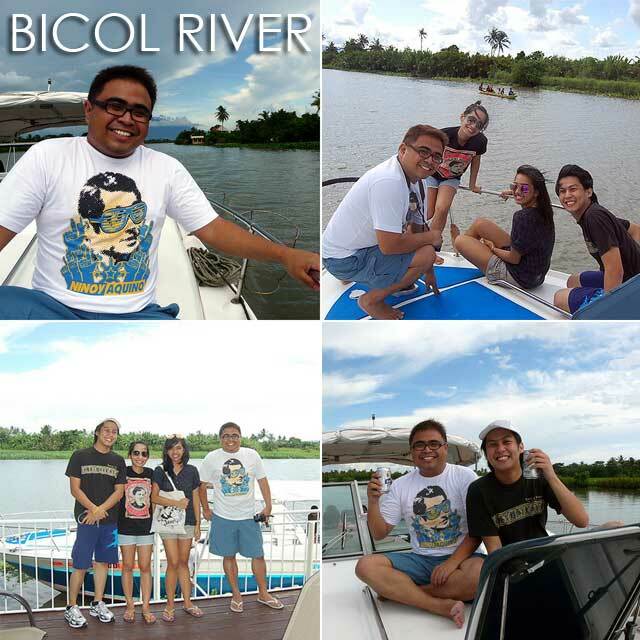 We were invited by the owner of Steady Eddie Dive Center (a family friend of my host) for a river cruise on the Bicol River using his private speedboat. So after watching the Peñafrancia festivities and resting a bit, we drove to the town of Camaligan where his port is located. The boat is actually used for his diving tours since the Bicol River drains all the way to San Miguel Bay and the Pacific Ocean. It was a relaxing trip and we were afforded really nice views of Mount Isarog and Mount Iriga (Asog) and the surrounding countryside. Aside from munching on boiled peanuts and downing a can of beer, I actually was able to take a nap which was a good thing since I lacked some decent sleep. 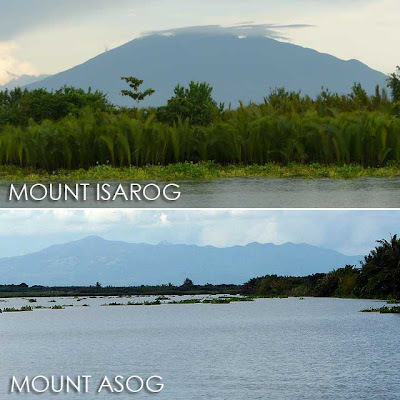 Since we didn't have much time, we weren't able to cruise all the way to San Miguel Bay. But it was an experience nonetheless. 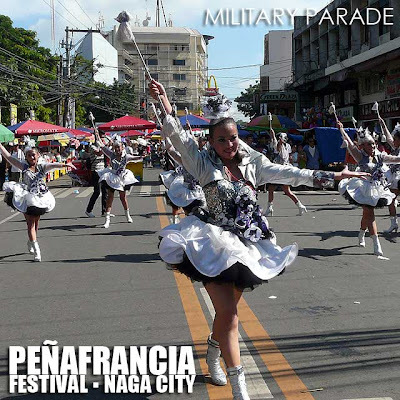 The day before the Peñafrancia Fluvial Procession, a Military Parade is held around downtown Naga City to honor Our Lady of Peñafrancia. Participants of the Military Parade include C.A.T. and R.O.T.C. 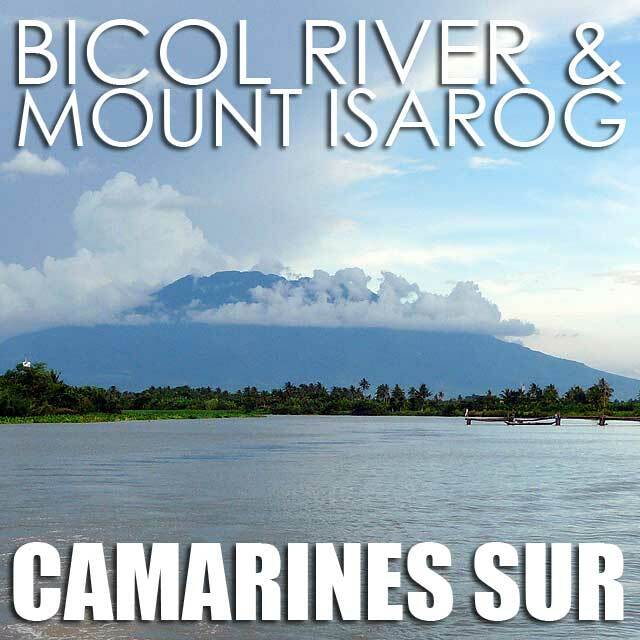 units from the different high schools, colleges and universities of the Bicol Region. I didn't expect to see over a hundred contingents in the parade which lasted over five hours! Each contingent was led by its cadet officers followed by a bevy of majorettes and a marching band. Then at the end are at least two platoons of cadets, one male and one female, in very colorful and snappy uniforms! I most definitely enjoyed the pomp and pageantry of the Peñafrancia Military Parade. There were so many contingents, we decided not to finish watching the entire parade since the heat started to get unbearable. I could imagine what these young students had to endure to participate in this parade. From Rizal Park, where we spent the whole morning watching the parade go by, we proceeded to the Naga Metropolitan Cathedral to see what was going on there. The image of Our Lady of Peñafrañcia was currently enshrined in the main altar of the Cathedral. 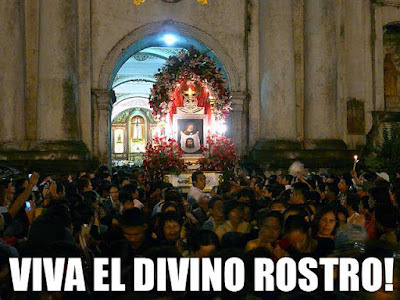 After the Translacion Procession transfers the image of the Our Lady of Peñafrancia and Divino Rostro from the Peñafrancia Shrine to the Cathedral, all activities of the festival are centered at the Cathedral. 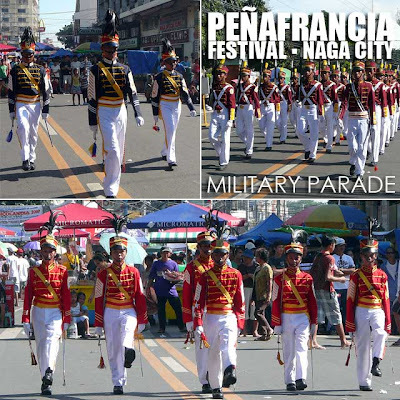 When we arrived at the Cathedral, a contingent from the Armed Forces of the Philippines had just completed a military drill in the church patio to honor Our Lady of Peñafrancia. After the military drill, students from Ateneo de Naga filled-up the entire patio and performed a dance of praise to Ina. I noticed the line of devotees who wanted to get close and touch the image of Our Lady of Peñafrancia was starting to get really long. In fact, when I returned later in the evening, it stretched all the way to the gates of the Cathedral, testament to the strong devotion of Bicolanos to Ina. In the evening, a band from the AFP held a concert at the patio. Since this year is the tercentenary of the devotion to Our Lady of Peñafrancia, the Archdiocese of Nueva Caceres erected a massive arch to commemorate this momentous event. The arch is called the Porta Mariae and is no doubt Naga City's newest landmark. 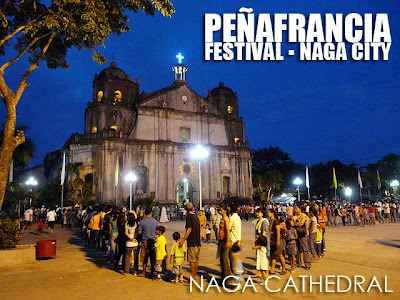 The Penafrañcia Festival is arguably the largest Marian festival in the country gathering thousands of pilgrims from Bicol and all over the country to Naga, Camarines Sur to fulfill their devotion to Our Lady of Penafrañcia or Ina to the Bicolanos. 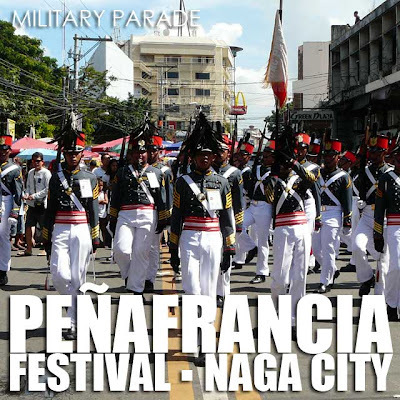 Penafrañcia Festival 2010 marks the tercentenary or 300th anniversary of the devotion to Our Lady of Penafrañcia which made the celebration bigger and more significant. It was in 1710 that Fr. Miguel Robles de Covarrubias ordered the making of an image of Our Lady of Penafrañcia based on the original one in Spain. 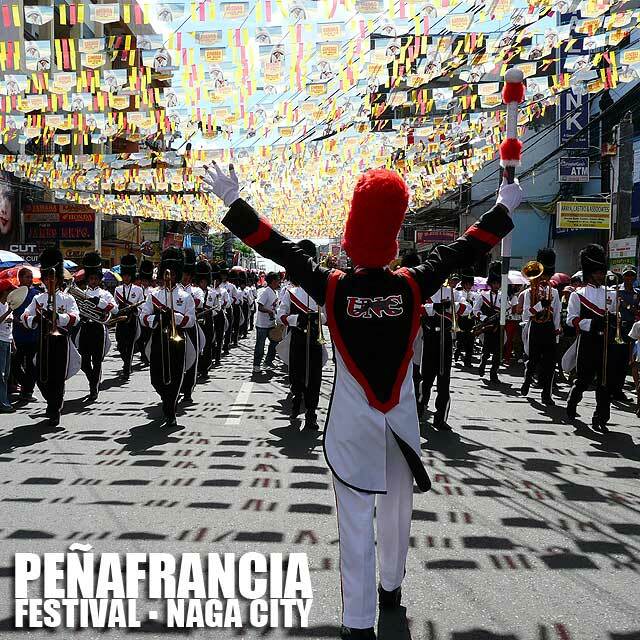 While there are so many religious events and processions held to mark the Penafrañcia Festival, there are three major processions you should not miss. 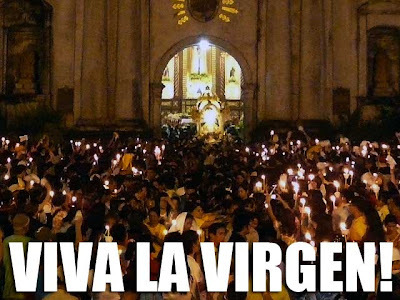 The first is the Translacion Procession where barefooted male voyadores and a sea of devotees ferry the image of Ina and the Divino Rostro from the Penafrañcia Shrine to the Naga Cathedral amid spirited chants of Viva la Virgen! A voyador is a person who helps carry the andas of the images. This four-hour procession is held (always on a Friday) nine days before the Solemnity of Our Lady of Penafrañcia which is celebrated on the third Sunday of September. The day begins with a Penitential Procession from the Penafrañcia Basilica to the Penafrañcia Shrine at 4 a.m. 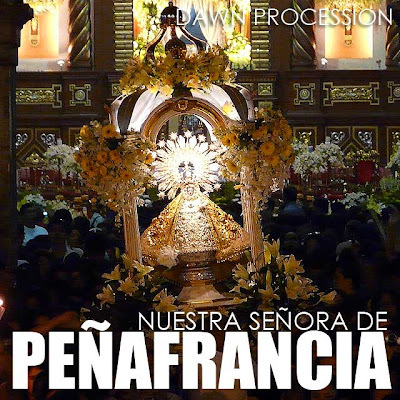 The Translacion Procession leaves the Shrine at about 9 a.m.
Another of the major processions are the three Penitential Dawn Processions which leave the Cathedral at 3:30 a.m. on the Thursday, Friday and Saturday before the Solemnity of Our Lady of Penafrañcia. The images of Our Lady of Penafrañcia and the Divino Rostro are taken around Naga West, South Downtown and Naga North respectively. I got to attend the last of the Penitential Processions which was held on Saturday, September 18 of this year. I was surprised to see thousands of people up so early in the morning, a testament to the strong devotion of the Bicolanos to Ina. 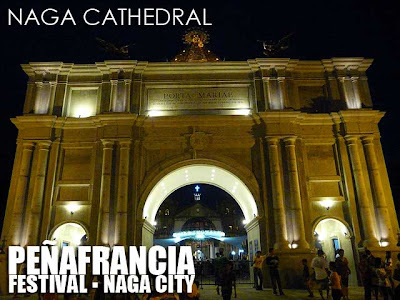 The first to exit the Naga Cathedral door is the Divino Rostro. 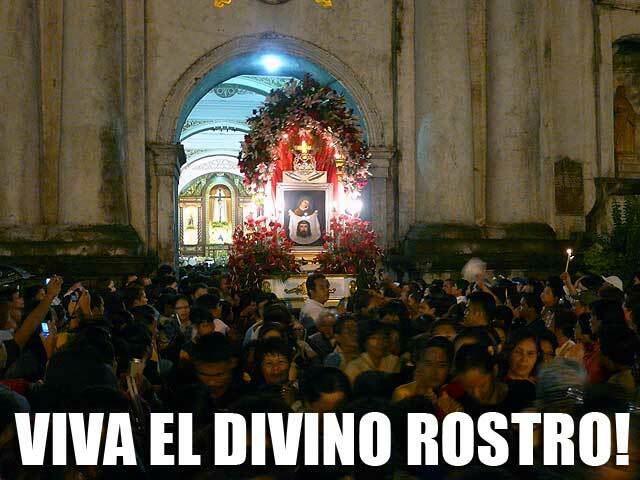 As the anda is brought out, devotees would chant Viva el Divino Rostro! 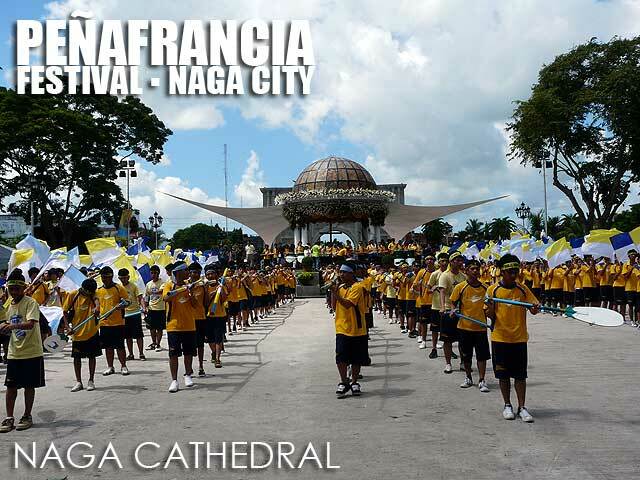 This is followed by the anda of the Nuestra Señora de Peñafrancia which exits the Naga Cathedral amidst cheers of Viva la Virgen! As the procession leaves the church, the church bells are pealed. Finally, the biggest of the three processions is the Fluvial Procession held the day before the Solemnity. 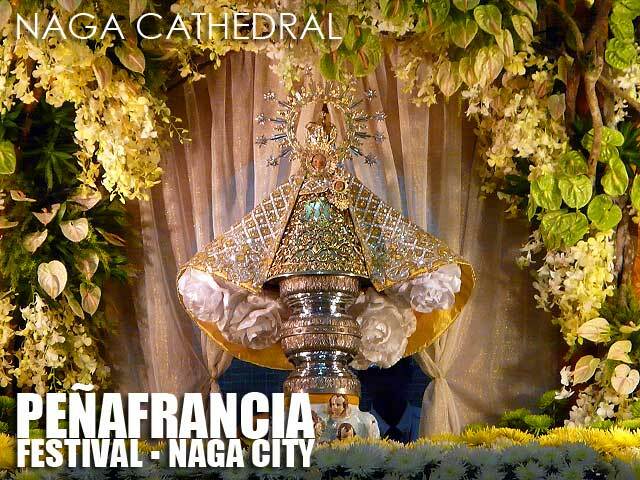 The images of Our Lady of Penafrañcia and the Divino Rostro are returned from the Cathedral to the Basilica on a pagoda via the Naga River. 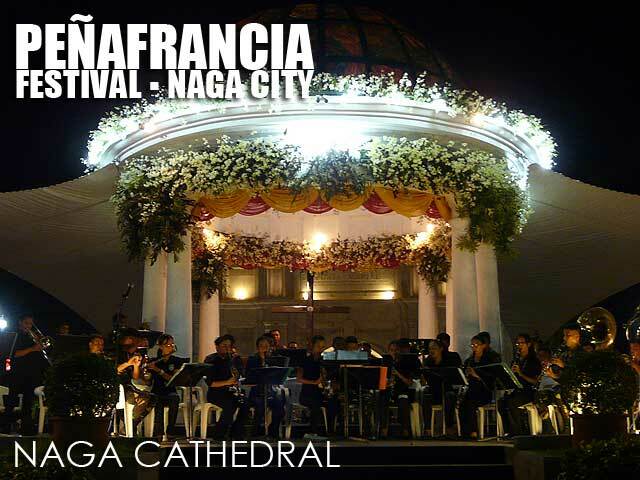 Unfortunately, I missed this one since I had to fly back to Manila in the morning right after the Dawn Procession. Aside from the religious events, there are civic and military events including a five-hour Military Parade participated in by CAT and ROTC units of over a hundred schools around Bicol which I will talk about in another entry. Experiencing first-hand the massiveness of the festival and fervor of the devotion made me realize the festival is worth returning to next year.